Ghostbusters get ready! Here comes the 9221 Stay Puft Marshmallow Man! 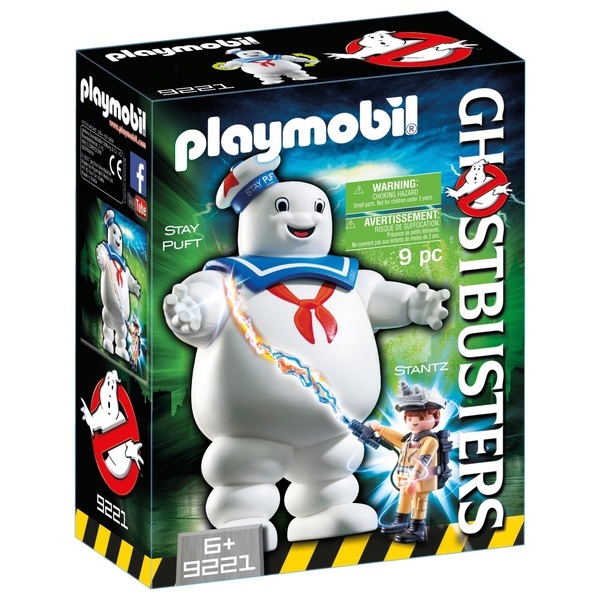 With his movable arms and turnable hands, the Marshmallow Man can also hold all PLAYMOBIL accessories. The set also includes Ray Stantz equipped with removable proton pack and proton beam. Features the Ecto Goggles of Ray Stantz to detect invisible ghosts.